Visiting another country is not just about going to popular tourist destinations but also uncovering hidden gems within its cities. Instead of opting to go to fancy restaurants, ordering expensive dishes, and shelling out a lot of money, an alternative would be to go to hole-in-the-wall food shops where one can experience what the country’s culture is all about. In Japan, there are several alleyways all over the country that house several small food shops that offer great food and excellent vibe at an affordable price. These alleyways are commonly known as “yokocho” in Japanese. Yokocho alleys can be found on the side of the main street. They consist of several narrow lanes lined with several bars, pubs, and all sorts of eateries. These places are a must-visit for people who wish to try several kinds of food in a single area. It is also a good place to just chill and have a good time with friends. The local shops in the area were originally constructed during the reconstruction stage following the end of the Second World War. Because of the quaint atmosphere in the area, yokocho alleys are found to be interesting for most people who wish to try authentic foods. Furthermore, shops in the area also offer great drinks that people would surely enjoy while chatting at night. Ebisu Yokocho can be easily accessed by the public. Simply take the train going to Ebisu Station and go to the East Exit. From there, the famous alleyway can be reached by a 2-minute walk. The popular alleyway can be easily seen thanks to its bright neon signs as well as vibrant lanterns that welcome guests. The main purpose of the development of this area was to revive what used to be an old shopping arcade. Clearly, this goal was reached and with flying colors. At present, Ebisu Yokocho is among the liveliest places at night in Ebisu, as well as among the most crowded. This success comes as no wonder, as the vibe it gives off just entices more and more patrons. The famous yokocho was constructed on the remains of what used to be the old Yamashita shopping center. Opened in the year 1998, Ebisu Yokocho was initially known as an izakaya arcade. As it developed, the area now offers a wide range of food from sushi and oden to specialty food like whale meat and horse meat. Truly, it is a place for courageous diners. Most of the shops lining up the alleyways are considerably small with an indoor space of not more than 25 square meters. As a result, several chairs and tables are propped close to the entrances, which is a common sight. Most shops in the area open at 5 PM and close around midnight. On the other hand, there are also others that operate from 11 AM to 11 PM. One of the distinct features of Ebisu Yokocho is its neon signs and akachochin lanterns that glow so bright in the evening. These beautiful decorations welcome guests into the crowded Ebisu Yokocho. Lined with several lively pubs and eateries, Ebisu Yokocho houses several fried chicken joints and wine bars. If it is not obvious yet, this place is best visited in the evening, when it is liveliest. The exact address of Ebisu Yokocho is 1-7-4 Ebisu, Shibuya-ku, Tokyo. The place encourages local independent shops and restaurants. At the same time, it is a great place for people looking for authentic atmosphere, food, and drinks. The yokocho alley also gives off that retro vibe. There are dozens of restaurants that can be found in Ebisu Yokocho, which can be rather overwhelming especially for people visiting for the first time. The foods that they offer include oden, kushikatsu, gyutan, and okonomiyaki. The area basically has no grand theme and visitors can pick from a wide range of food choices. As one enters Ebisu Yokocho, the first shop that one would see is Kappa-chan. A yakitori joint, Kappa-chan stands out from the rest thanks to its row of small red lanterns that shine bright and beautiful. Its tables are slung low and stools can be found outside of the shop. Visitors can try the restaurant’s chicken skewers and gizzards. Coupled with shochu, this is the perfect meal to munch on in Kappa-chan. Just next door stands another shop called Denraku. While Kappa-chan depicts a masculine image, Denraku maintains a refined look and feel. It features ocher walls and wooden beams, which add class to the whole place. Guests can head on over to its timber counter and order the restaurant’s house specialty, Kyoto-style oden. The dish is composed mainly of tofu, vegetables, and fish paste. Its broth is clear and light to taste. This is unlike the Tokyo-style oden wherein the broth is dark and rich and based in soy. 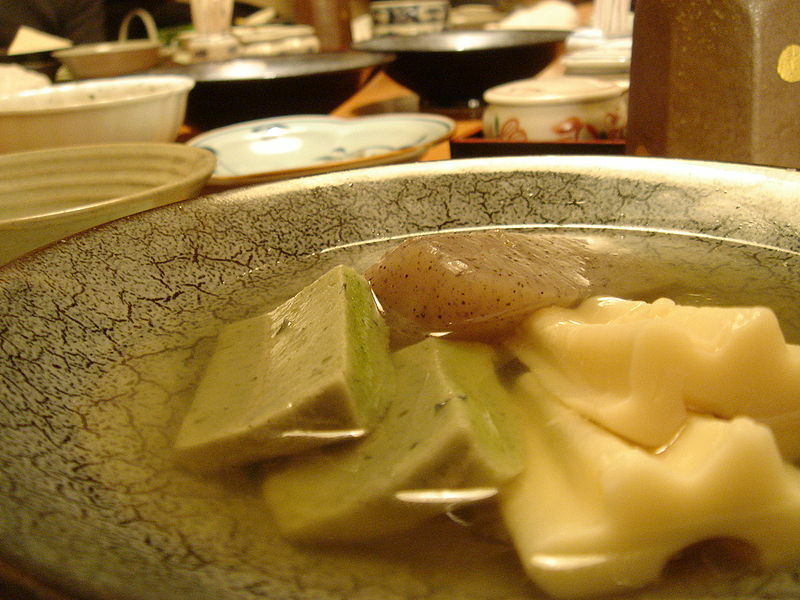 The bowls of oden in this restaurant are dispensed by young female servers wearing simple traditional outfits. Another must-try in Denraku is the sake known as Kaiun, which is produced in Shizuoka Prefecture. Another popular restaurant in Ebisu Yokocho would be none other than Uomaru. This restaurant specializes in seafood izakaya. The place fills up quickly once it opens. Bright and cheerful, the ambiance of this restaurant is impeccable. Shellfishes are cooked over electric grills and guests are welcome to watch as their food is being cooked. It is recommended to accompany their seafood dishes with Yebisu Beer. Because this restaurant can get packed pretty quickly, it may be hard to find a seat in Uomaru. If that is the case, one can also opt to check out Uezuya, which is just beside Uomaru. This restaurant changes its menu depending on the weather. During summer, Uezuya offers different kinds of food that blend well with awamori liquor, which is sourced from Okinawa. During winter, Uezuya offers single-serving nabe hotpots, perfect to counter the cold weather. If one is looking for something unique and different, the restaurant that one should most certainly visit would be none other than Nikuzushi. It is a popular destination for several people visiting Ebisu Yokocho. The name Nikuzushi can be translated to “meat sushi” in English. As the name suggests, that is the kind of food that this restaurant specializes in. This is the perfect place for people who wish to try meat sushi, as it does not serve fish. The most common meats that they serve include chicken and beef. However, probably its most unique and popular meat is horse meat. Most of these meats are served raw. This place definitely is not for the squeamish. However, if one is adventurous and willing to try new things, Nikuzushi is the best place to be. Despite its cramped space, people are still actually willing to squeeze in to get a taste of what Nikuzushi has to offer. The full name of the restaurant is “Kato Shoten Nikuzushi.” Including the bar counter, the restaurant can only accommodate 38 sitting people. In contrast to the cramped space, the restaurant actually has that homely ambiance. 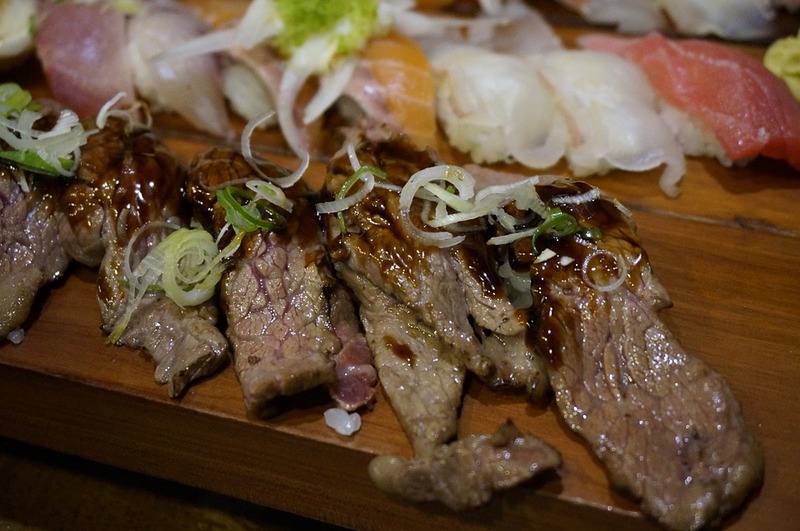 The restaurant serves wagyu beef as well as horse meat from Sakuraniku paired with sushi. Not everyone has been able to try horse meat. For those who want to try it out for the first time at Nikuzushi, it would be best to know what to expect. Generally, horse meat contains low fat. It has a good texture and is packed with flavor. The restaurant is also friendly to foreign tourists with their servers being able to speak English. They have an English menu as well. Because izakayas that specialize in raw meat is quite rare in the country, it would be wise to take advantage and visit Nikuzushi when one is in Ebisu Yokocho. Typically, horse meat served in Japan is lean. However, Nikuzushi also offered “sashitoro.” This type of horse meat is quite similar to wagyu beef wherein the cut is considerably fattier. As a result, it is more tender and juicy. The meat basically just melts in the mouth and leaves eaters wanting for more. This is a better option for people who do not like raw meat, as sashitoro is seared before it is served. As for drinks, visitors are offered a wide range of beverages available in the restaurant. Some staples in the izakaya include sake and beer. The restaurant also serves red wine, which is best paired with red meat. The exact address of Nikuzushi is 1-7-4 Ebisu, Shibuya-ku, Tokyo-to. It is specifically located in the premises of Ebisu Yokocho-nai Dai-ichi Kyoei Building. It opens at 5 PM and closes at 5 AM the next day every day. On the other hand, it only operates from 5 PM to 11 PM on Sundays and National Holidays. The budget for this restaurant is around 3,000 yen to 4,000 yen per head. Nikuzushi is only closed on New Year’s. Fortunately, this famous restaurant is easily accessible to the public. One can take the JR Yamanote, Shonan Shinjuku, or Saikyo Lines going to Ebisu Station. Take the East Exit and walk from there. An alternative would be to take the Tokyo Metro Hibiya Line to go to Ebisu Station. 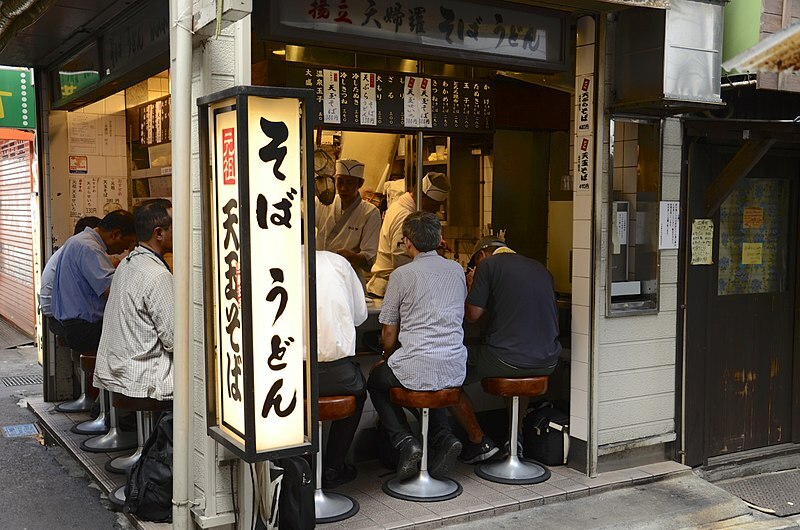 Aside from Ebisu Yokocho, there are plenty of other yokochos in Tokyo that one can look into. If one is in Shibuya, definitely checkout Nonbei Yokocho. It is best to visit the area between 6 PM and midnight. Nonbei Yokocho can be translated to “Drunkard Alley” in English. The head office of the Tokyu railway corporation used to be located in the area. In the early 1950s, the alley was lined with several eateries such as yakitori shops. One of the most popular eateries in Nonbei Yokocho would be none other than a bare-bones joint called Okasan. Okasan can be translated to “mother” in English. This eatery has served customers for three generations. Aside from this famous restaurant, there are several more bars and bistros in the area that one can look into. A plus is that this yokocho is located next to Shibuya Station, which makes it convenient to visit. On the other hand, if one finds him or herself in Sangenjaya, try heading to Sankaku Chitai. It operates from 6 PM to 2 AM. The alley is lined with plenty of pubs that one can just drink and chill in. The area is constantly being redeveloped to cater to more visitors. While it can be rather chaotic due to the constant redevelopment, its surroundings can still be rather charming. Aside from pubs, there are also yakitori joints and curry eateries in the area. Both old and young customers frequent the area thanks to old-fashioned stores and new wave shops. Even those the alleyways in this area are considerably narrow, people still like to visit Sankaku Chitai due to the various shops and eateries that it offers. Another tourist destination in Tokyo is Shinjuku. Hence, it should also have its own yokocho. Their version is known as Omoide Yokocho. It operates from 12 NN to 11 PM. 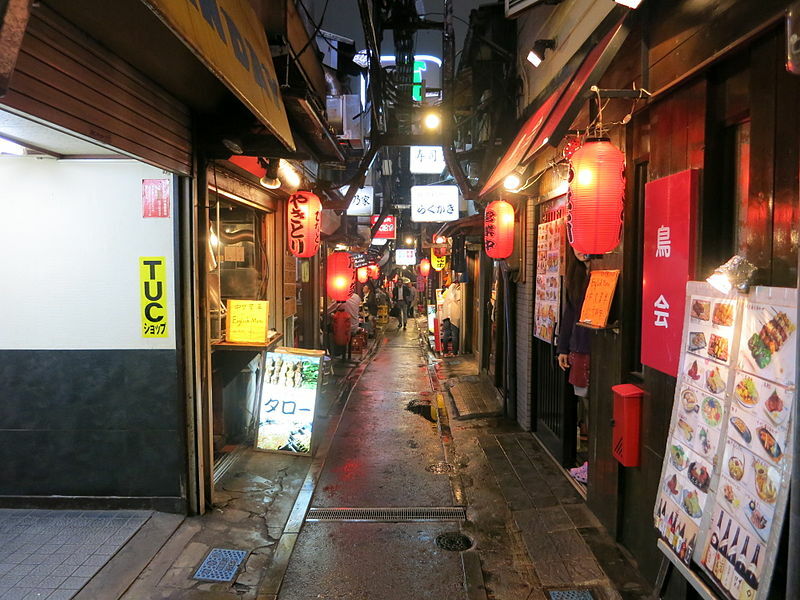 This yokocho is also known as “Piss Alley.” Located on the west side of Shinjuku Station, this yokocho houses several small bars, pubs, and eateries. The alleyway is situated between the Ome-kaido highway and the railway tracks. Some of the buildings in the area are no longer stranger to disasters, as most of them have survived frequent fires in the past. These scars can be seen as burns and visible damages on some of the walls of the buildings. Nonetheless, these buildings stand strong and remain resilient. This yokocho is lined with cafes, yakitori joints, and noodle shops among others. However, at the end of the day, it is still all about those beers and liquors. The bars and pubs in the area are known to offer some of the best alcoholic beverages in the city. People who like trying new alcohol should definitely check out Omoide Yokocho. While there are plenty more yokochos in the country that one can visit, do not miss visiting Ebisu Yokocho. It is one of the best in the metropolis. Whether one is feeling lonely or feeling like celebrating something, Ebisu Yokocho is most certainly the place to be.